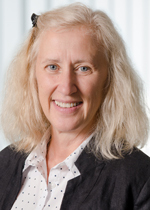 Michèle Breton , a Full Professor with the Department of Management Sciences, has been elected a fellow of the Royal Society of Canada (RSC) and will be welcomed into this select group at the induction and awards ceremony on November 28. Professor Breton is an internationally renowned researcher in the fields of dynamic programming, stochastic programming and dynamic game theory applied to management problems, more specifically in the areas of finance, energy and the environment. She has taught at HEC Montréal since 1977, and holds a bachelor’s degree in Industrial Engineering and a Master’s in Operational Research from the École polytechnique de Montréal, as well as a PhD in Computer Science from the Université de Montréal. She is currently Director of the Calculation and Data Mining Laboratory (LACED), Scientific Director of the Institut de finance mathématique de Montréal, Vice-President of the International Society of Dynamic Games and a member of the Group for Research on Decision Analysis (GERAD), the Centre for Research on E-finance (CREF) and the Réseau en recherche opérationnelle de Montréal (RROM). This year, 81 new fellows from different Canadian universities joined the ranks of the RSC. The mandate of the Society, consisting of eminent scientists, researchers and men and women of letters, is to recognize academic excellence, promote research and learning in the arts and sciences, and advise governments and organizations. It currently has about 2,000 members, selected by their peers for their outstanding contributions to the natural and social sciences and in the humanities and the arts.